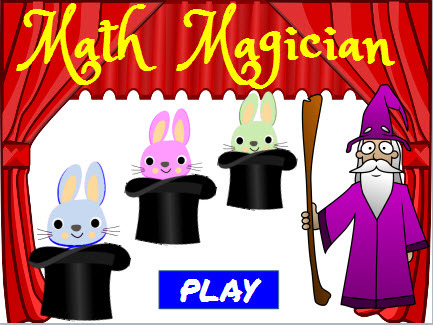 Play this cool Math Magician Add Three Numbers Game and make 20 bunnies disappear by quickly matching addition problems with the correct answers. Drag and drop the bunny into the correct basket to make it disappear and score points to win. Second grade students can have fun as they develop their addition skills with this wonderful game. The game can be played on computers, iPads, and other tablets. You do not need to install an app to play this game on the iPad. To play other math magician games, please visit this link. Return from this Math Magician Add Three Numbers Game to the Elementary Math Games webpage, or to Math Play.